John D. Adams, Chair. (he/him/his) John is an active member of the Lincoln County Midcoast Unitarian Fellowship and professional voice coach and singer. John brings strong Lincoln County connections as well as his community relationships through the Bay Chamber. He has served on the Boards of Oratorio Chorale, Hartwood Regional Theater Company and the Midcoast UU Fellowship. John lives in the midcoast with his partner of 24 years. 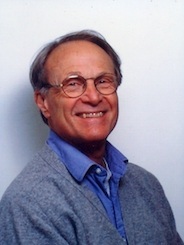 Ralph Moore, Vice Chair. (he/him/his) Ralph is an educator and one of the founding members of the Watershed School in Camden. He has served on the boards of the Camden Conference and the Coastal AIDS Network. He is the retired rector of St. Peter's Episcopal Church in Rockland. He lives in Rockland with his wife. Alan Pedersen, Treasurer. (he/him/his) Alan is former senior vice-president with Chase in New York, he has crisis counseling experience from working with LGBTQ youth and extensive experience in financial management and technology. Alan lives in Rockport with his partner. Ellen Sudow, Secretary. (she/her/hers) Ellen splits her time between Tenants Harbor and Washington, D.C. A retired attorney and mediator who specialized in family, employment and civil disputes. Ellen serves on the board of the Southern Poverty Law Center (Chair of the Governance Committee); The Fred Taylor Scholarship Fund of For Love of Children (Chair), and the Rocking Moon Foundation (VP/ Treasurer). She previously served as a board member of SMYAL, an LGBT youth organization in Washington, DC. Lucie Bauer (she/her/hers) is a retired educator and long-time advocate of LGBT issues, she has a long history of working for LGBT equality as a leader in community-based efforts and is a former board member of Equality Maine. Lucie brings a wealth of educational, leadership and advocacy experience to OUT. She lives in Rockport with her wife. 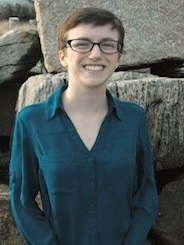 Emily Cantillo (she/her/hers) is a Compliance Manager at First National Bank in Damariscotta. She lives in South Bristol with her husband and children. She is a parent of a transgender elementary school child. 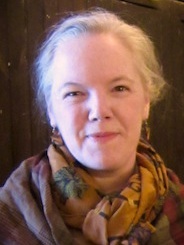 Holly Morrison (she/her/hers) serves as pastor of Phippsburg Congregational Church (UCC), a designated "Open and Affirming" church with a commitment to welcoming LGBTQ people. Holly and her wife also run Tir na nOg Farm, an educational farmstead in Pownal, Maine, which actively recruits and supports transgender youth in their farm operations where they explore human culture and agriculture in the context of sustainability and resilience. Amy Paine (she/her/hers) brings extensive experience working with at-risk youth and non-profit fundraising and support, as well as strong connections in Waldo county. She lives in Bangor with her chihuahua, London. Jeanne has extensive experience in organizational development and management through her work as the former state director of Massachusetts Office of AARP, former Director of Strategic Planning for Boston Senior Home Care and owner of a private consulting practice in Rockland. Prior to assuming her position, she was an OUT board member and advisor. She lives in Waldoboro. Sue brings more than 25 years of experience working with school superintendents, administrators and other school staff through her work on local and state school boards. Sue has also worked with the Trans Youth Equality Foundation in Portland as a volunteer, assisting with support groups. Sue also is the parent of a trans son, who is currently a college student. She has first-hand experience in supporting the transition process and working with family issues around transitioning, giving her expertise that supports youth, families and efforts to make system change toward a welcoming and affirming Maine. Sue lives with her partner in South Thomaston. Lane is a graduate of Bowdoin College in Brunswick, Maine. Prior to joining OUT Maine, Lane worked as a prevention educator in Knox and Waldo Counties. They also have experience working with youth in other settings throughout the state. In college, they were an active part of the campus queer community and they remain active in social justice initiatives in the midcoast. Lane lives in Camden. Rachel is a 2005 graduate of the University of Maine in Orono with a degree in Business Administration and a minor in Art History. Rachel brings her experience in website development, marketing and event planning to the team. She has volunteered for many local non-profits, including WRFR-LP, Rock Coast Rollers, Penobscot School, Youthlinks, and Aldemere Farm and had been waiting for the right opportunity to join the non-profit world full-time.